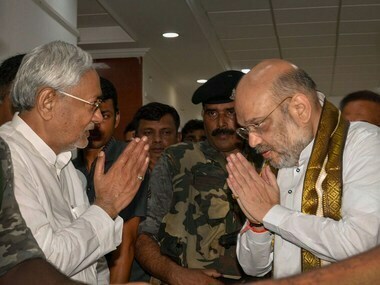 Patna: The Opposition Rashtriya Janata Dal (RJD) in Bihar on Tuesday accused Chief Minister Nitish Kumar of "blackmailing" the BJP to secure a seat-sharing deal favourable to his Janata Dal (United) while denying "adequate" representation to Union minister Upendra Kushwaha's Rashtriya Lok Samta Party (RLSP) - an NDA constituent in the state. RJD national vice-president Shivanand Tiwary made the statement reacting to a press conference in New Delhi by Kushwaha, wherein the RLSP chief had expressed his readiness to make "sacrifice" in the Lok Sabha polls but expressed his displeasure over his party not getting a 'ministerial berth' in the Nitish Kumar goverrnment. "We fully back Upendra Kushwaha's concern over his party not getting a ministerial berth in Bihar government despite the NDA being in power and his party being its constituent for over four years", Tiwary told PTI. "Kumar fought tooth and nail to secure a respectable share of seats for his JD(U) by blackmailing the BJP with the help of Prashant Kishor, whom he has made his party's national vice-president. Kishor has friends in all parties and had given the BJP the hint that Kumar was ready to switch sides if he did not get his due in the NDA", Tiwary alleged. 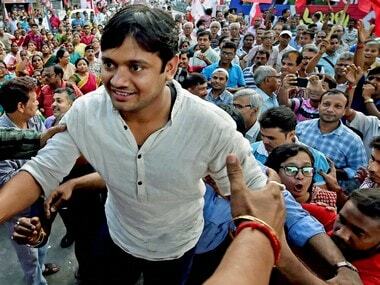 "However, when it comes to giving Kushwaha his due, Kumar has different standards. Does his government not enjoy the support of RLSP MLAs. Just look at the manner in which Shah and Kumar made the announcement about seat-sharing last week. It looked as if Ram Vilas Paswan's LJP and Kushwaha's party did not exist", the RJD leader - who had been a close aide of the Bihar chief minister till a few years ago - said. "Both LJP and RLSP have been given a shabby treatment by the BJP which seems to have forgotten that these were the parties that stood by its side when Nitish was busy trying to chart an independent course. At least LJP has Pashupati Kumar Paras as its representative in the state government. What does the RLSP have", he asked. 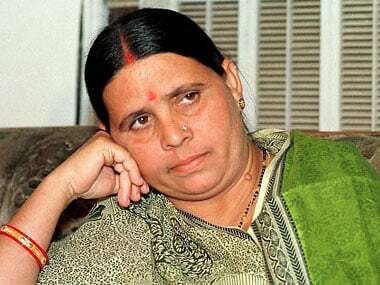 Tiwary's comments are the latest in a series of sympathetic gestures by the RJD towards Kushwaha, whom it has been expecting to switch sides out of frustration. Kushwaha had quit the JD(U) in 2013, months after being suspended for anti-party activities, and floated his own outfit. Although he described Kumar as his "elder brother" in the Delhi press conference, he is known to have viewed the JD(U)'s return to the NDA in 2017 with consternation. 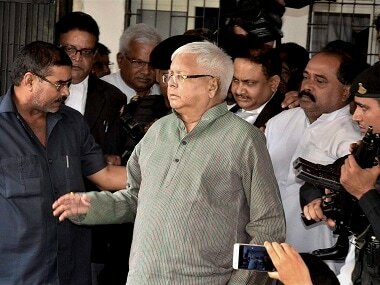 Tiwary, along with the state RJD president Ram Chandra Purve, had tried to fish in troubled waters earlier in 2018 when they appeared in a "human chain" organized by the RLSP which BJP and JD(U) stayed away from. RJD heir apparent Tejashwi Yadav has been maintaining that there was a "standing invitation" to Kushwaha to join the Mahagathbandhan and a meeting between the two leaders last week, shortly after Shah and Nitish spoke to the media, had fuelled speculations about the RLSP chief's future move.